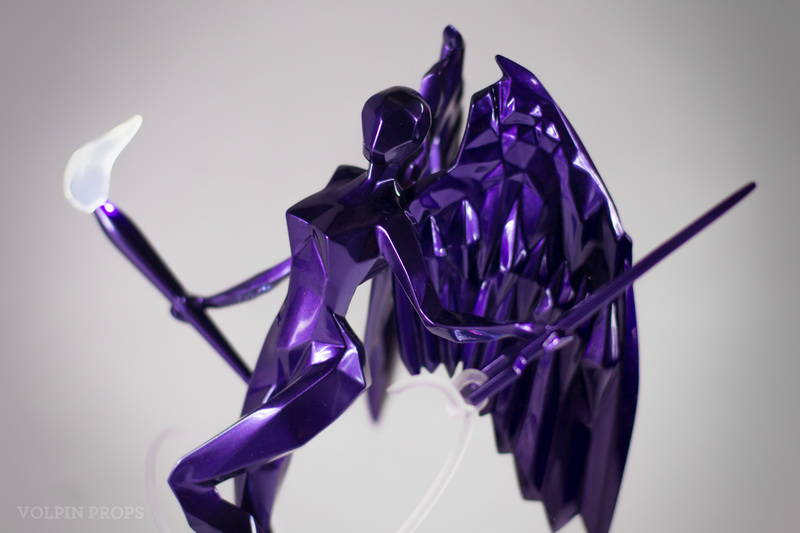 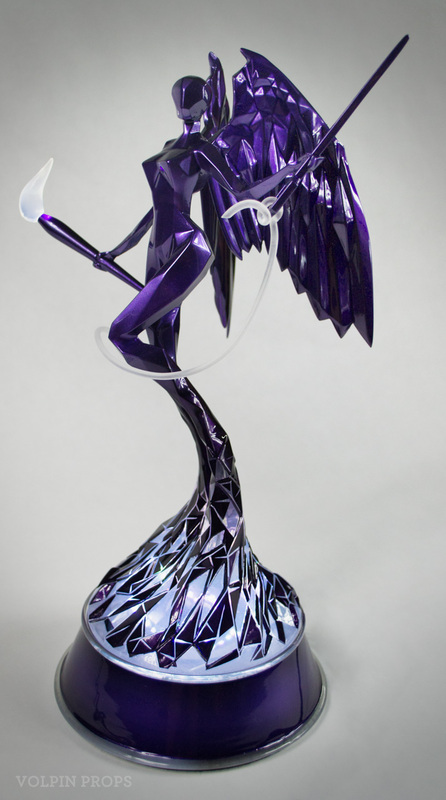 The Twitch Crafting Angel was created for the newly minted Creative segment of twitch.tv to make their debut appearance at TwitchCon 2016. 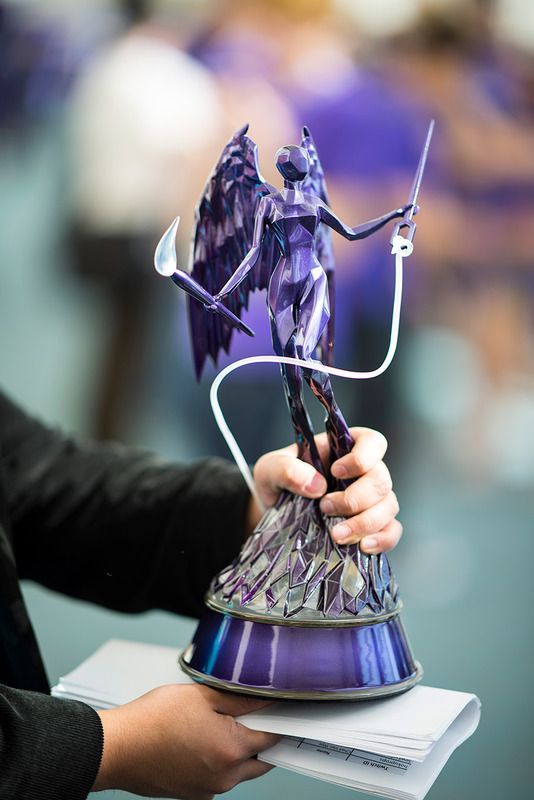 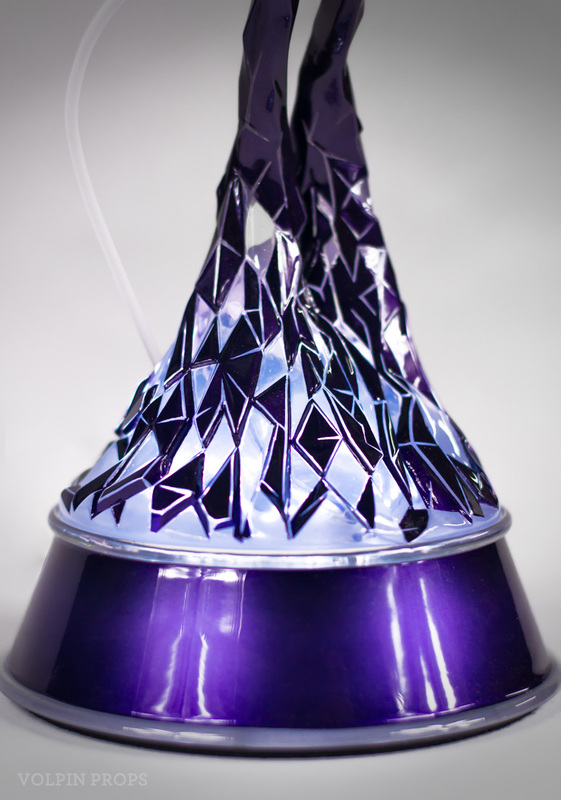 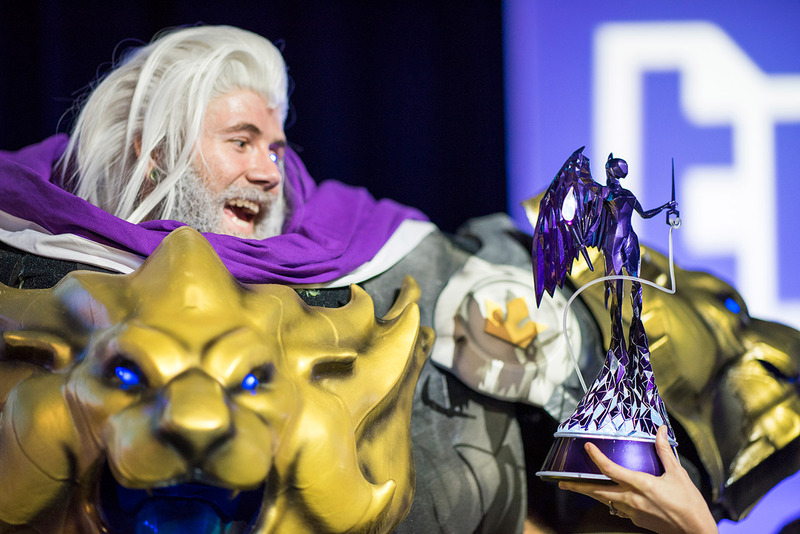 Paired with a cosplay competition in which participants streamed construction of their costumes and props, the build on this trophy took place during several live streams showcasing the construction from raw 3D print to moldmaking, electronics and paint. 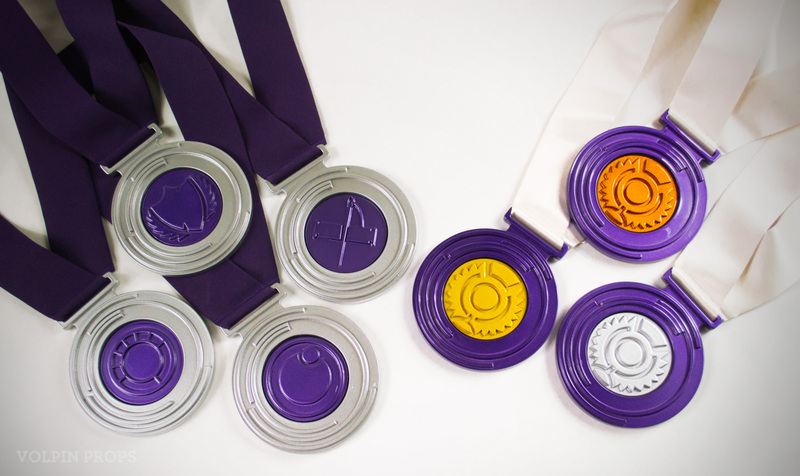 For individual category winners such as Best Armor, Best Sewing and Special Effects – as well as runners up to the champion – a set of medallions were created and painted to match the larger award. 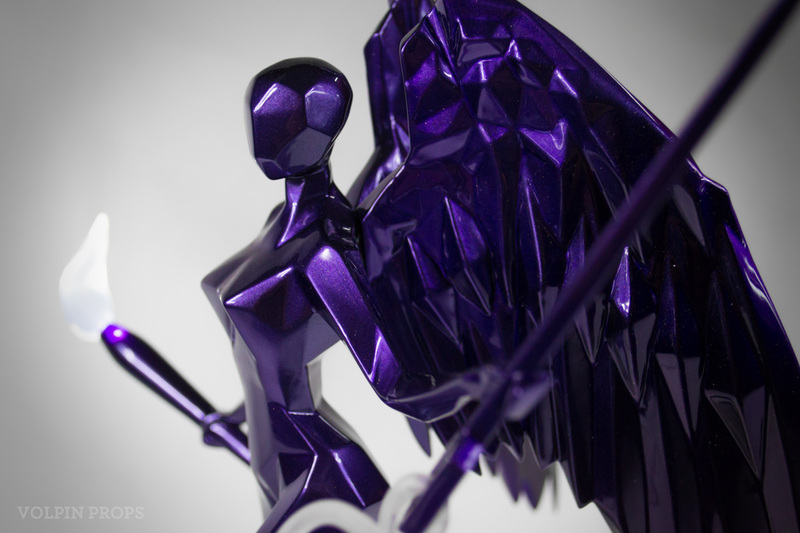 The Twitch chat lovingly named this piece “Booty Poppins” after a prolonged sanding session to re-shape the figure’s posterior. 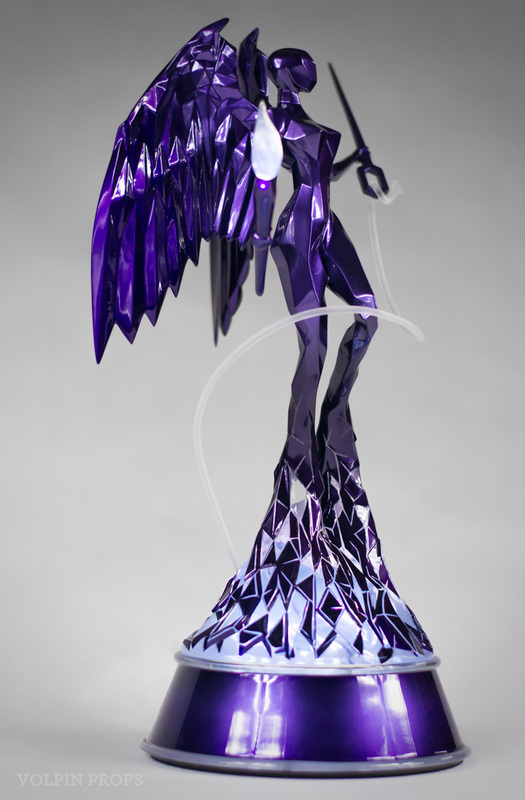 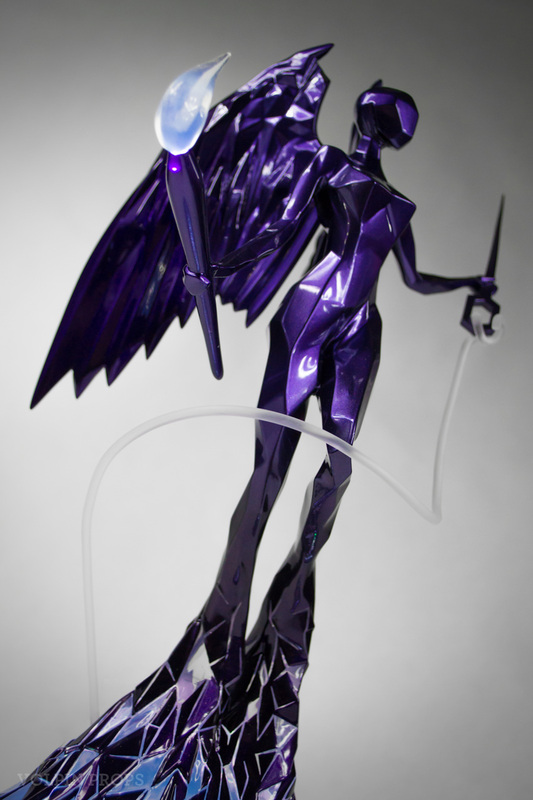 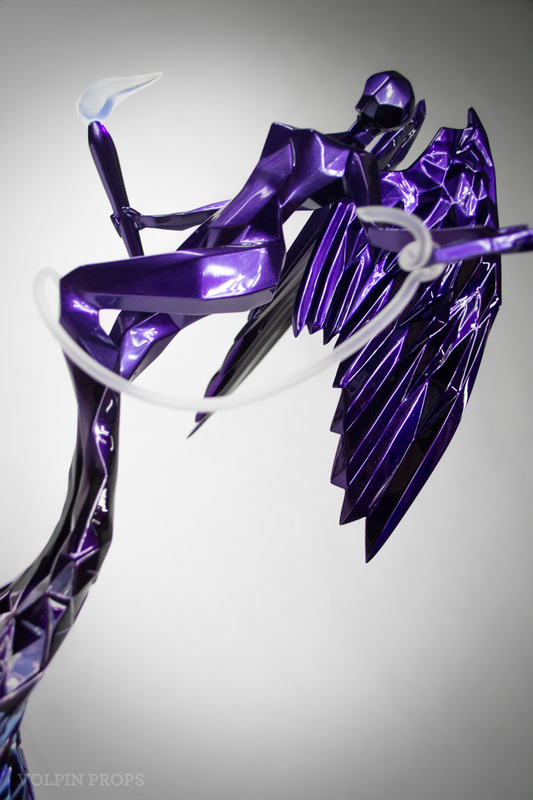 Designed by Nicholas Fair and modeled by Travis Wood, the concept illustrates an organic angel form being created from a pool of glowing polygonal shapes. 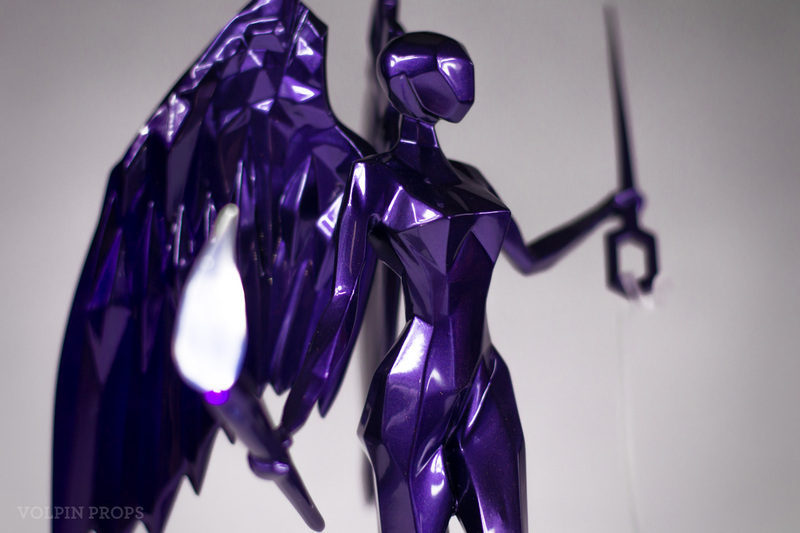 Holding a paintbrush and sewing needle in either hand, my intent was to bring together classic sculpture and contemporary gaming themes. 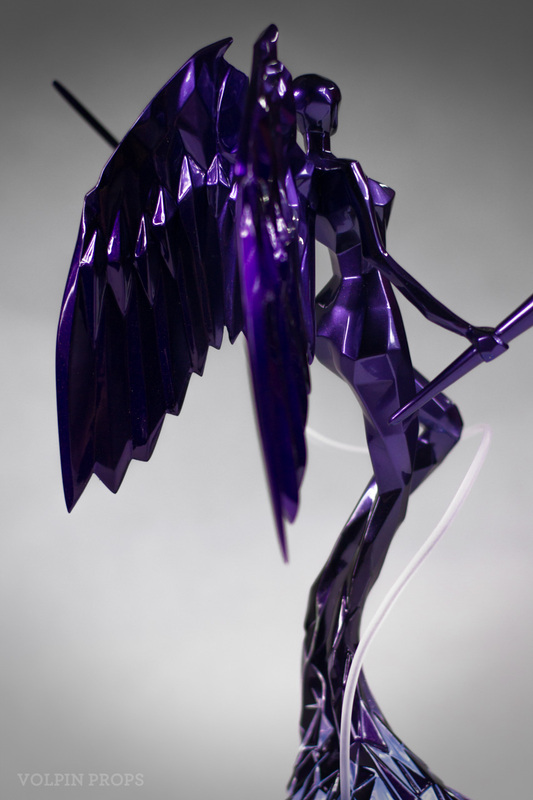 Booty sits about 14″ tall and is comprised of six individual molded and cast parts. 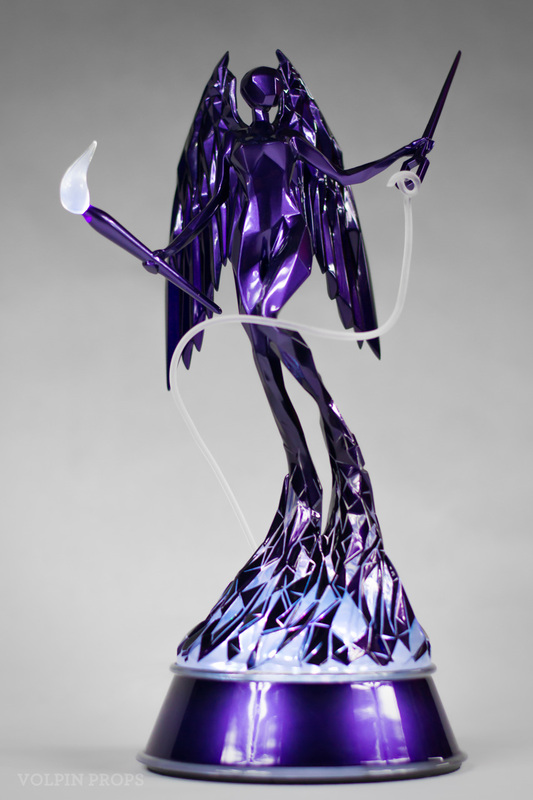 She’s made stable by several sets of inset steel bars which were cast into the form for added strength, especially along the length of her slender leg segments. 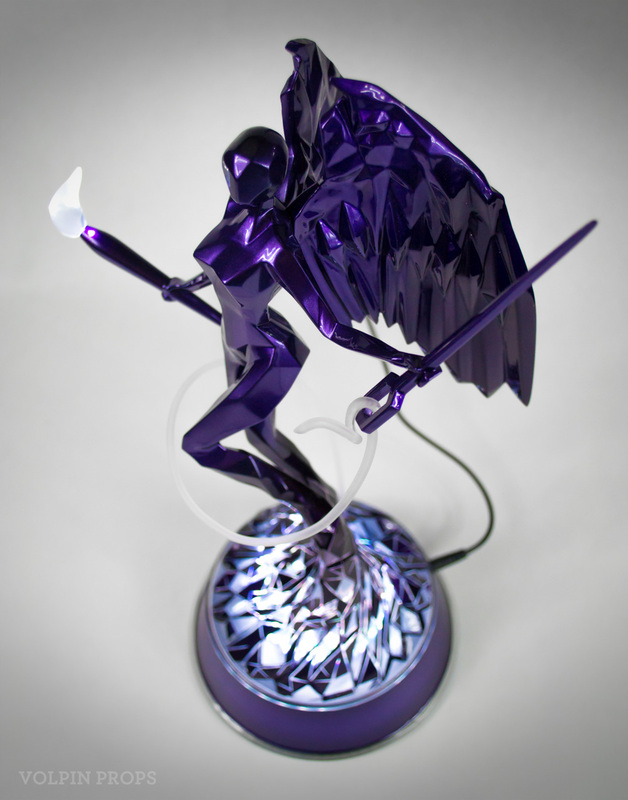 Three sets of ring LEDs illuminate the base and legs, while a small inset bulb lights up her paintbrush. 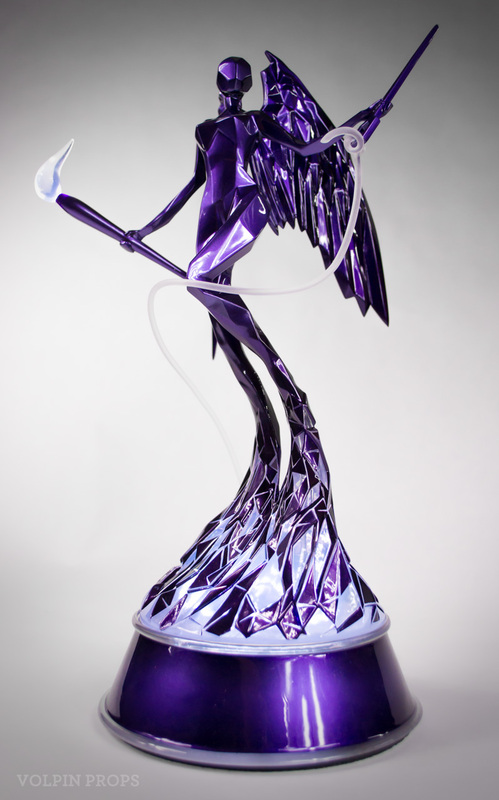 Power is supplied by both an internal 9V battery as well as an external power supply, so the award could glow during the presentation ceremony as well as while on permanent display.